For many years now, I have dreamed of adopting a little girl. I had no preconceived notions of what she would look like. Only that she was out there somewhere, and that she had my heart…wherever she was. It was on December 10th, 2012 that we learned she was in China. A country that I thought was closed to us. We in no way met their qualifications…we made less income than the $10,000 per person in the family (including the adopted child/ren) that they required. We had more than 4 children already. Rick had been diagnosed with Petit Mal Epilepsy as a child, which raises health issues for China. The only two things we felt we had going for us were that we were over the age of 30 and we were open to a child with special needs. When the call came on that fateful Monday in December, I was shocked to hear the voice on the other end of the phone say to me that they had a child’s file that they wanted us to take a look at. It was a little girl and her name meant “fine jade”. The voice went on to tell me that this little girl had been diagnosed with an umbilical hernia and poor brain development, but that she had recently been tested, and was meeting all of her developmental milestones. He also mentioned that she loved to smile. Would I be interested in taking a further look at her as a possible match for our family? Would I? Of course I would! I called Rick to tell him the good news and he was cautiously excited about looking over her information. We were anxious to look at her picture and there was even a very short video of her that we watched over and over again. Rick was, as I said before, cautious. I, on the other hand, remember feeling like I was floating somewhere outside and up above my body, and that I just couldn’t quit smiling to save my life! We sent all of her information to our family Pediatrician. He has been practicing for many decades and we value his wise opinion immensely. I have, over the years, sent him several files of children that we have looked at adopting and he had never before given me the thumbs up on adopting any of them. He knows our family well…how many children we have, the busyness of our family schedule, the personal health of each of our children, etc. After reviewing the information for a couple of days, he called me to give me his assessment. His first words were, “Mrs. Kelley, I think this little girl is an excellent candidate for adoption.” I couldn’t believe it! And yet, I was so happy and relieved to hear him say that! For the first time since CCAI called us about her, I began to allow myself to envision that she might really be our daughter! I went back to the table at McAlisters, where all of the ones that I loved most in the world sat eating, and shared with them the good news about this precious little one. It was one happy dinner. CCAI initiated the process of “locking” our little girl’s file, and we began to gather the necessary paperwork to apply for Preapproval. We had been told that it could be several weeks before we would hear back from the CCCWA, the governing adoption authority in China. We received our Preapproval in five days, two of which were a weekend. 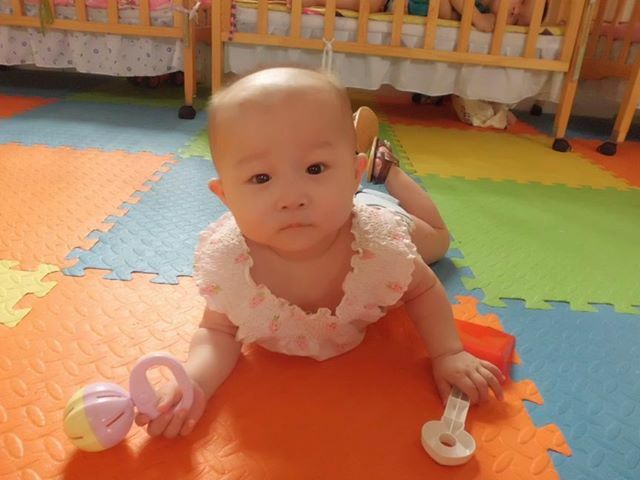 We sense God’s smile and favor on us as we proceed with the adoption of this little girl from the Henan province of China. 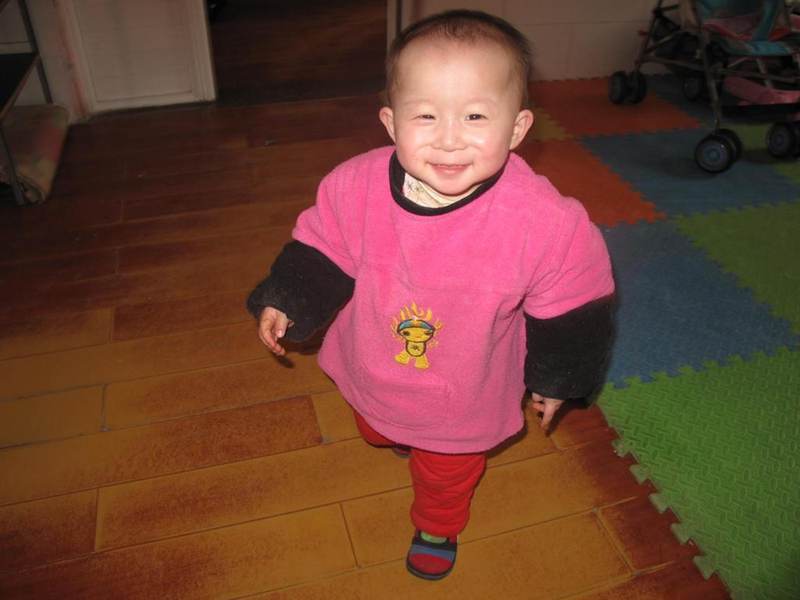 Faith is currently 21 months old and resides in the city of Kaifeng. She lives at the Social Welfare Institute (aka orphanage) in that city. She wakes up every morning at 7 a.m., naps for an hour around noon, and goes to bed at 8 p.m. each night. She can walk and talk and is meeting all of the expected developmental milestones for her age. This, in and of itself, is quite miraculous, as children that are institutionalized are typically one month behind for every three months that they have spent in the orphanage. That means that Faith should really be presenting as a 14 month old, but she is only a couple of months behind in her development. We again see God’s protective and sovereign hand moving in the midst of these circumstances. Faith’s favorite foods are rice-based formula, soft bread, little steamed buns, noodles, and mashed vegetables. I can’t wait to introduce her to other foods and expand her very limited diet! Her reports say that she is extroverted, lively and active, and that she especially loves to smile. Her skin is fair, but her hair is very sparse and light. This is probably due somewhat to the fact that she had brain surgery as an infant, and can probably be attributed also to a lack of nutrition in her diet. She does not like to sit very much, and in fact, the only video we have of her, is of the nanny sitting her down and her having a fit about it! We don’t think she has to worry too much about that once we get her home…there will be tons of ready and willing arms anxious to carry her around! We are excited about bringing Faith home to join our family. We recognize what a precious gift we’ve been given and give all the glory to the One who gave it. Soli Deo Gloria. An adoptive mom recently referred to this stage as “paper gestation”, so true!! It is so very real!! We’re so excited for you…God is showing up all over the place!! He’s Got This and we’re praying for each of you every step of the way!! Love you guys!! so happy to meet Faith by name! Good job choosing a name. It’s perfect. May God crown the name by granting her saving faith early on and making her a woman who is strong in faith… like her mother. Loved seeing the pictures and hearing a bit more of her story. what a cutie! Can’t wait to meet her in person! Great name! Happy for her and for you all.